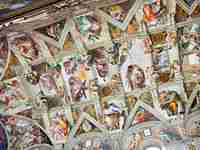 Michael Angelo painted the ceiling of the Sistine Chapel. A painter uses a brush and a palette. A brush and a palette by a painter. 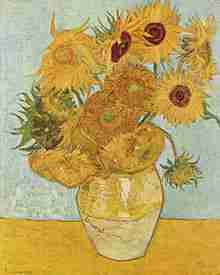 (Van Gogh) People look upon this work of art as a masterpiece. This work of art as a masterpiece. They will exhibit his sculptures next month. They must look after old paintings very carefully. Governments should encourage fine arts. They are building a Harley-Davidson Museum in Milwaukee, Wisconsin. A Harley-Davidson Museum in Milwaukee, Wisconsin. They were setting up a new statue in this park last week. A new statue in this park last week. 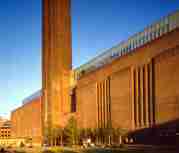 My friend asked me if I had been to the Tate Modern in London. by my friend if I had been to the Tate Modern in London. They told her she could start in a week's time. she could start in a week's time.